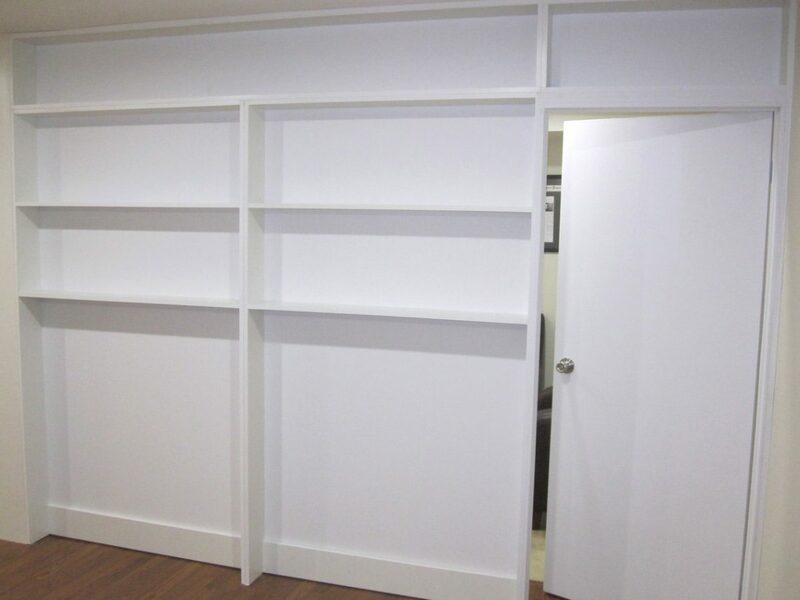 The Bookcase Partition is a system designed to create an additional room using custom-sized bookcase units to divide a space. 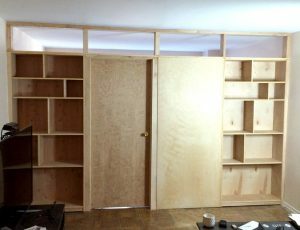 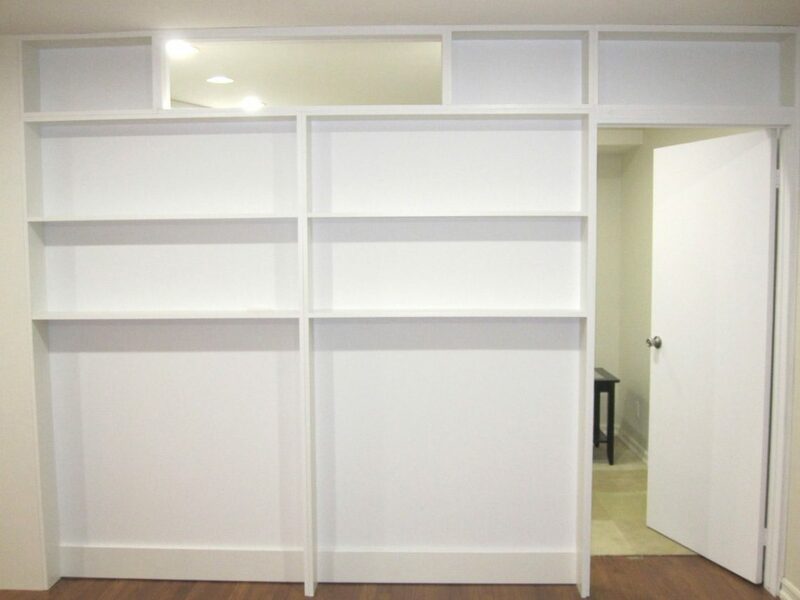 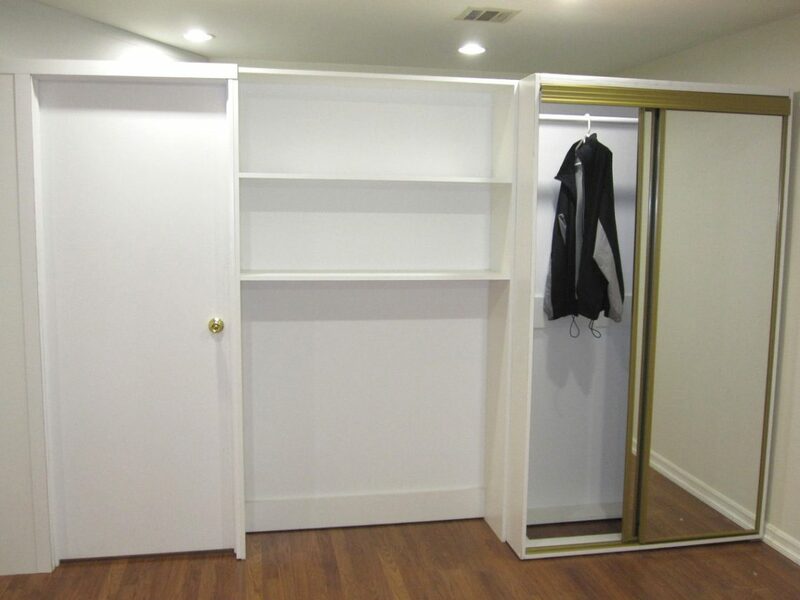 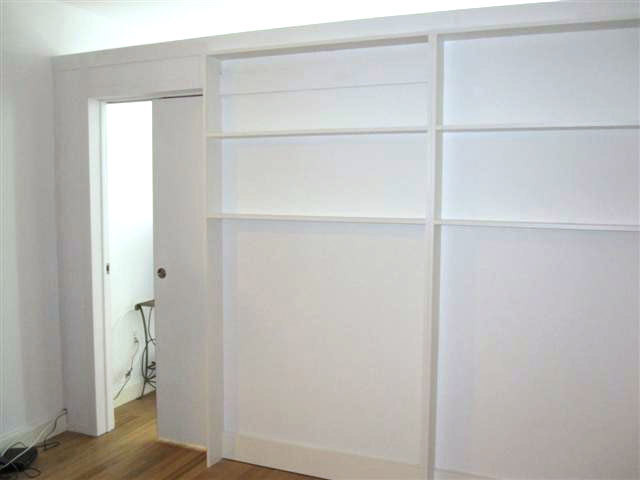 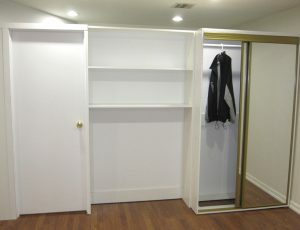 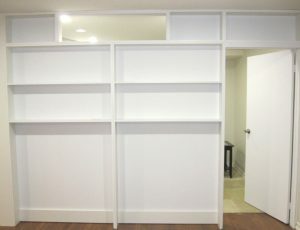 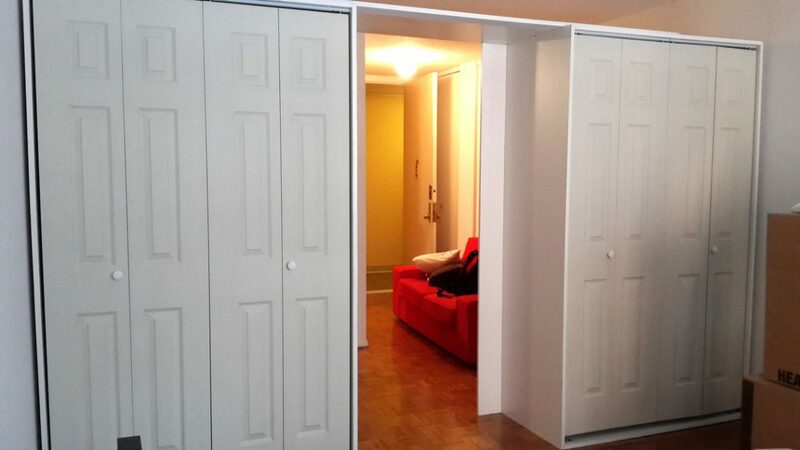 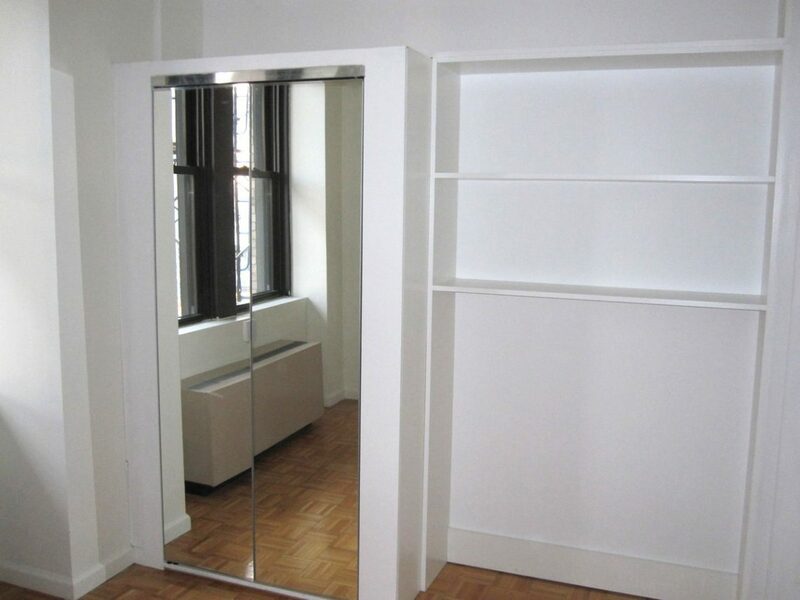 The Bookcase Partition can be modified according to the requirements of the room. 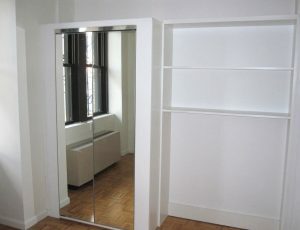 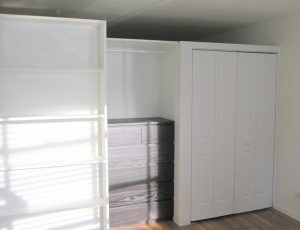 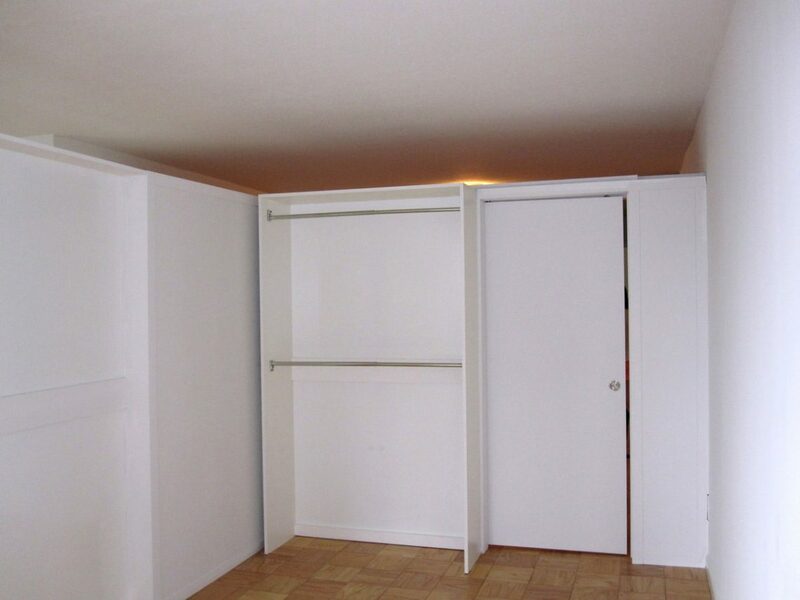 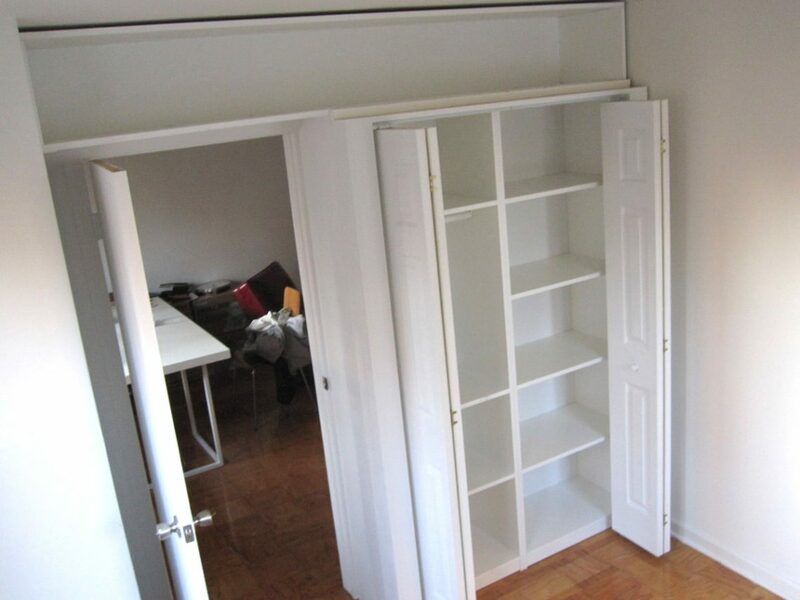 For example, one shelving unit can face the first room while the other is turned so that it is of use in the second. 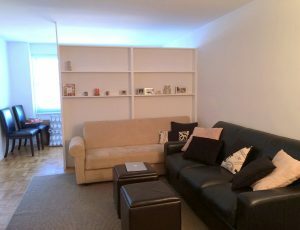 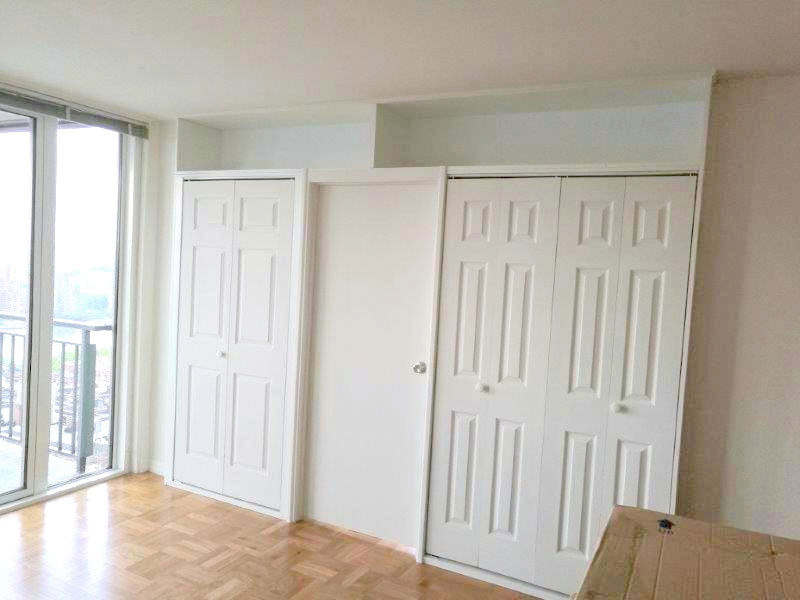 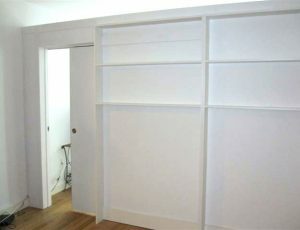 The bottom portion is generally left without shelves so as not to take up floor space. 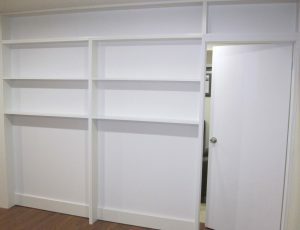 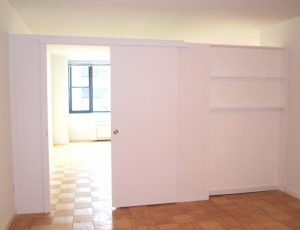 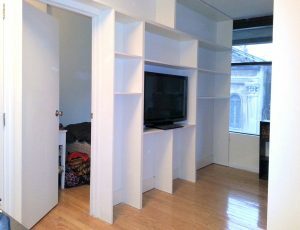 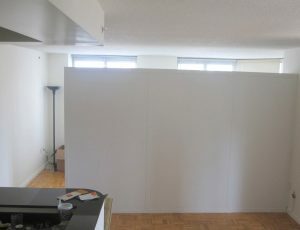 Usually, the Bookcase Partition is 7 feet high and has a door. [Most buildings have 8′ ceiling, so there’ll be a foot clearance between the partition and the ceiling, for lighting and ventilation]. 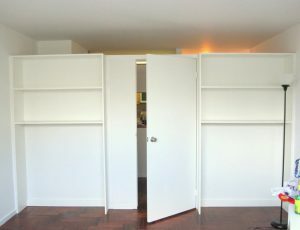 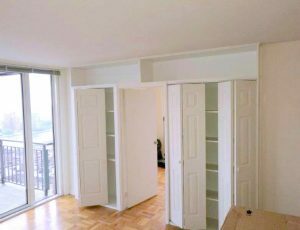 The Bookcase Partition can be designed to reach the ceiling and come with a door to create a sealed, fully functional room. 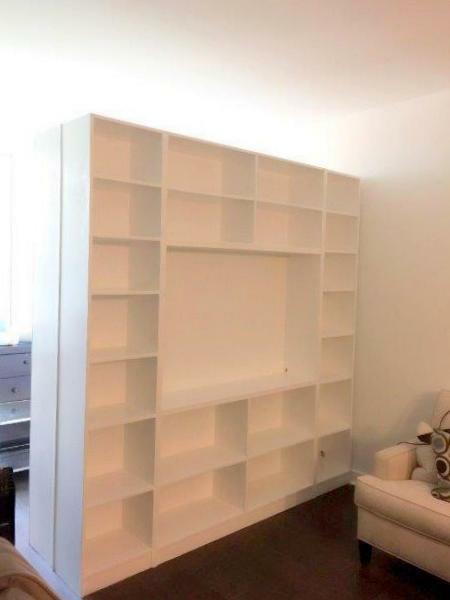 Alternatively, it can reach a height of 7 feet so that it falls short of the ceiling. 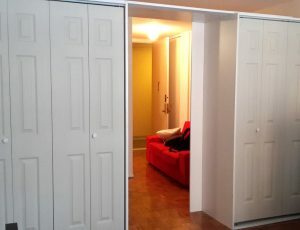 The door is optional. 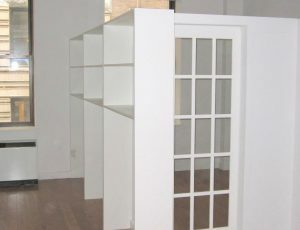 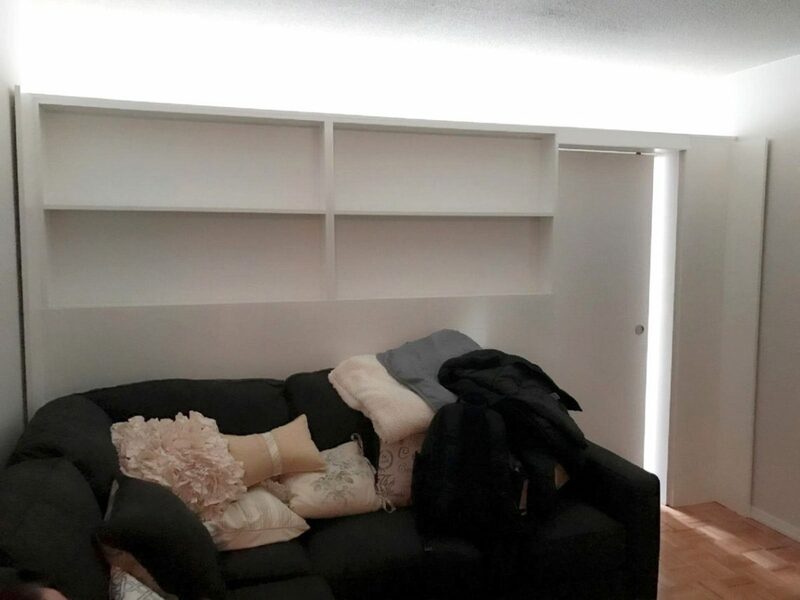 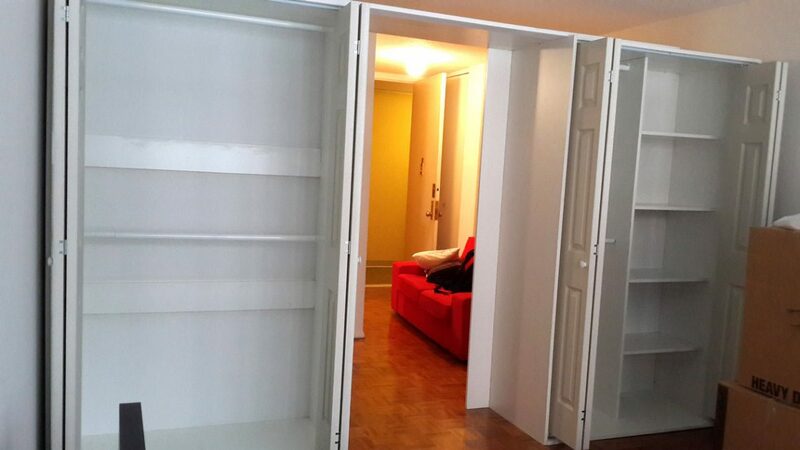 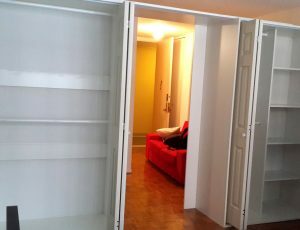 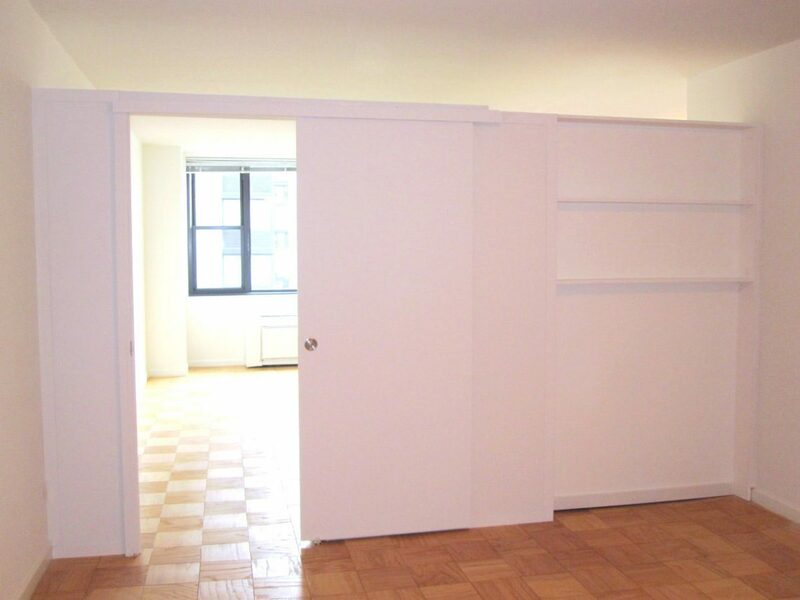 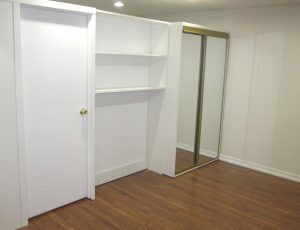 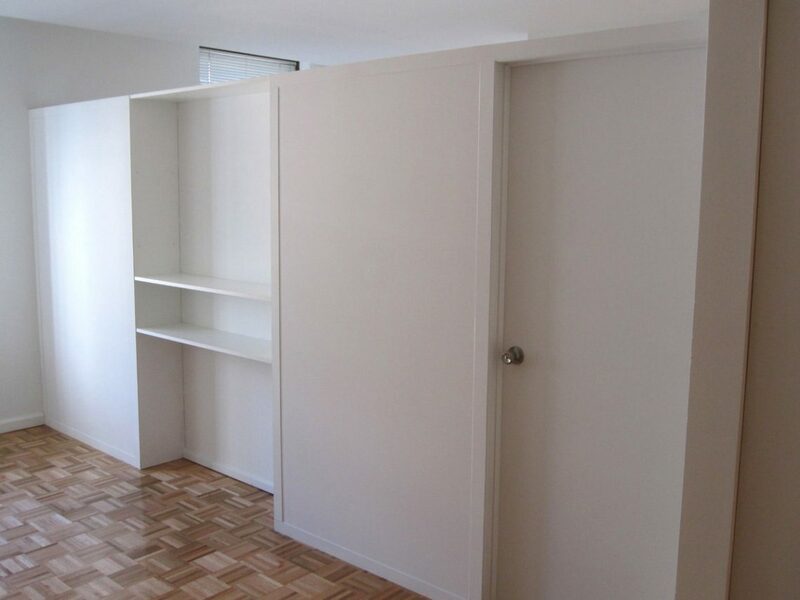 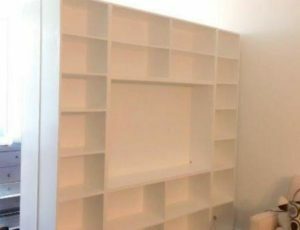 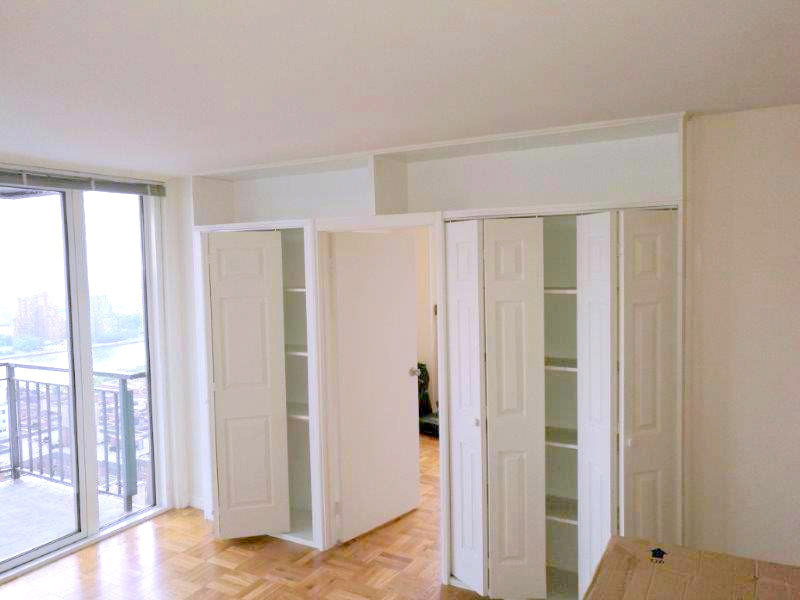 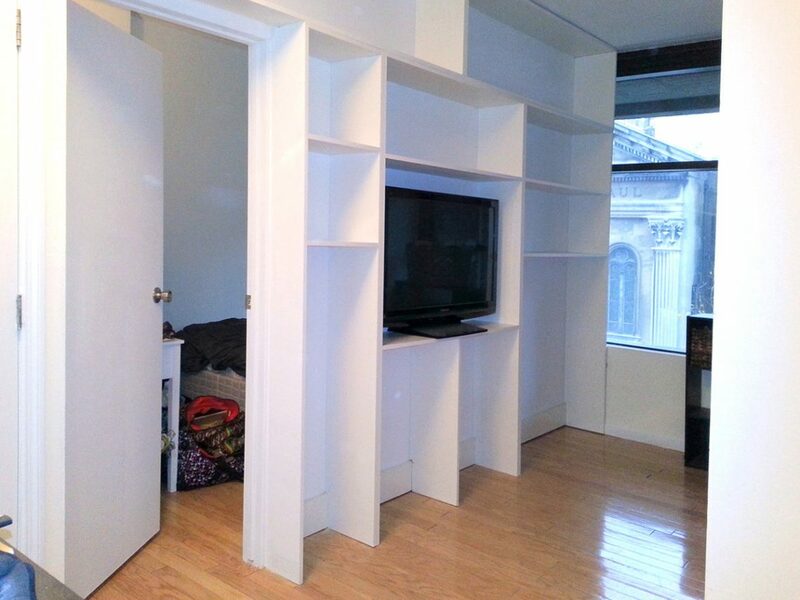 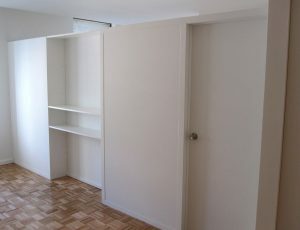 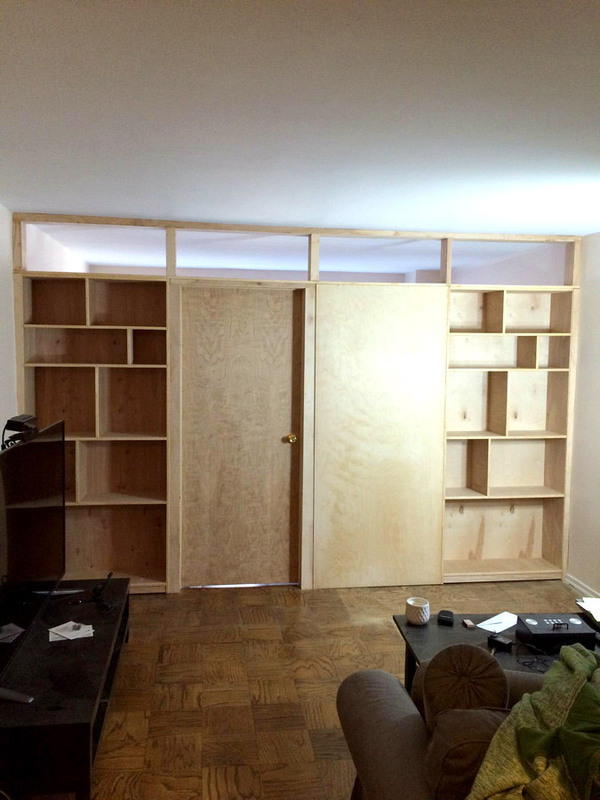 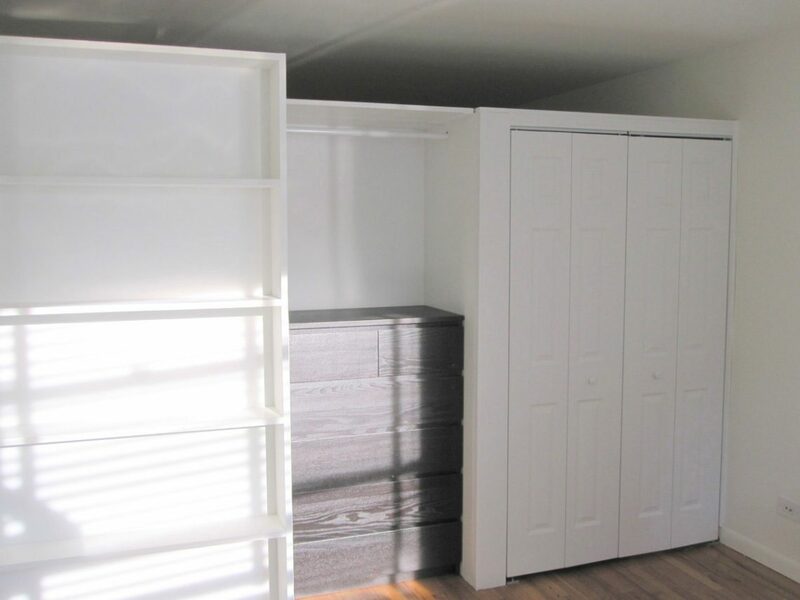 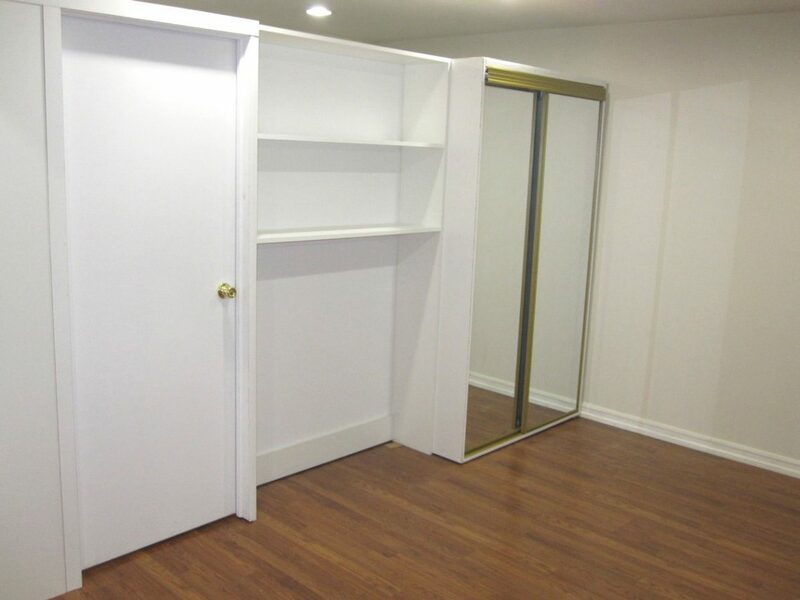 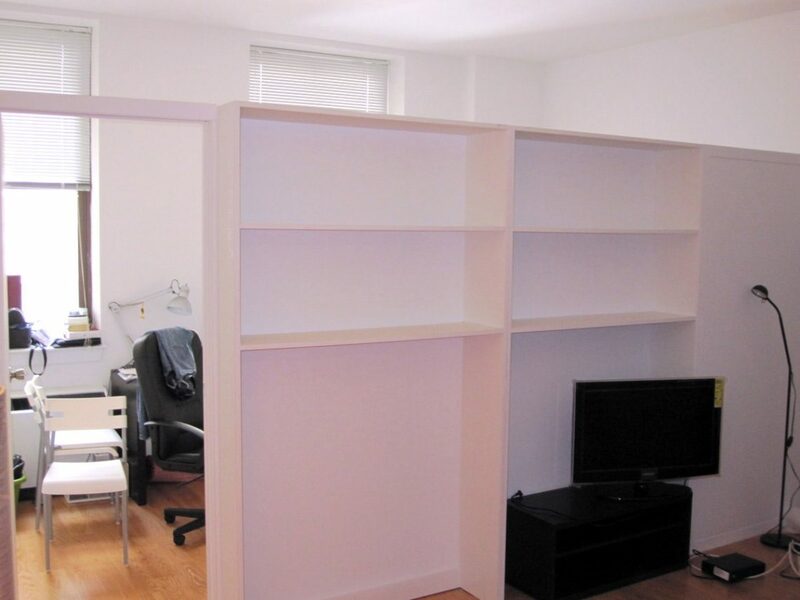 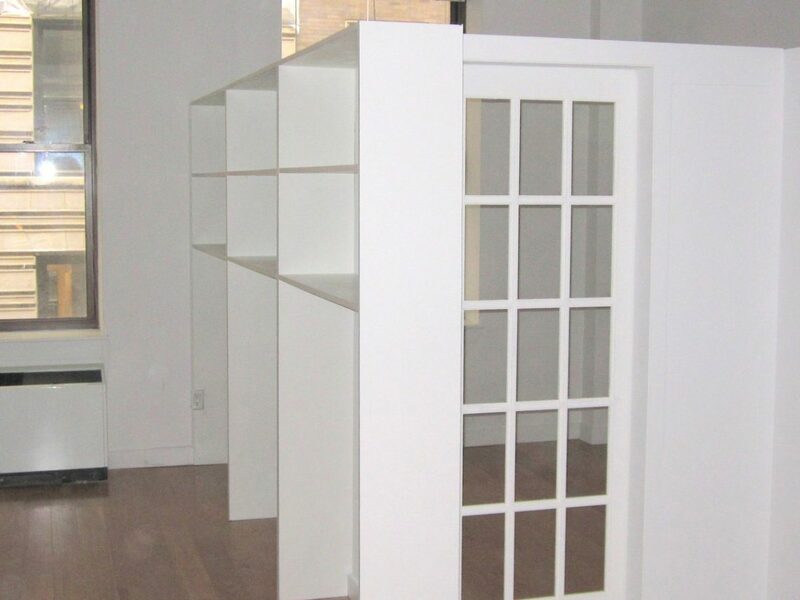 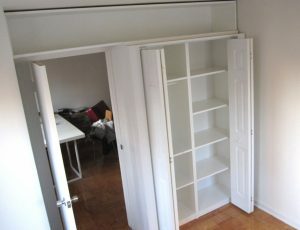 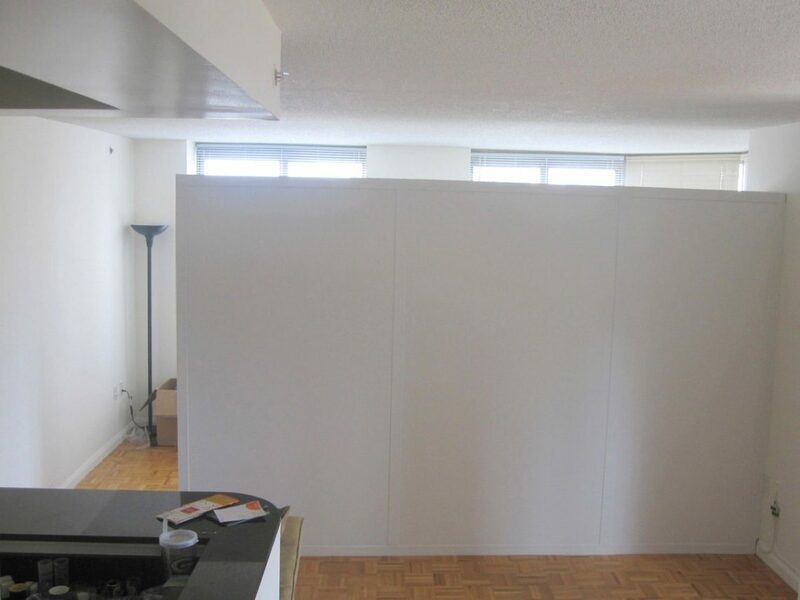 Removal of The Bookcase Partition can be done free of charge within 3 years of purchase.